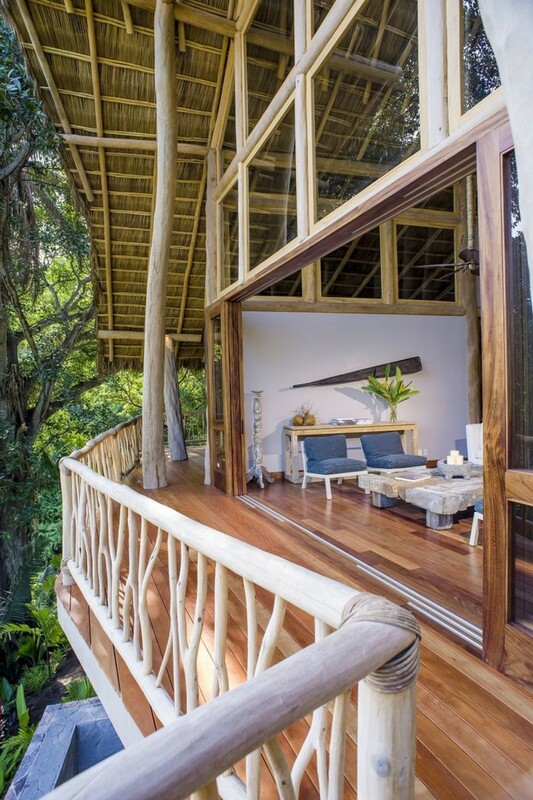 Welcome to Tree House Punta Sayulita, the 3-bedroom treehouse villa that fulfills all your childhood dreams, in the Nayarit region of Mexico. 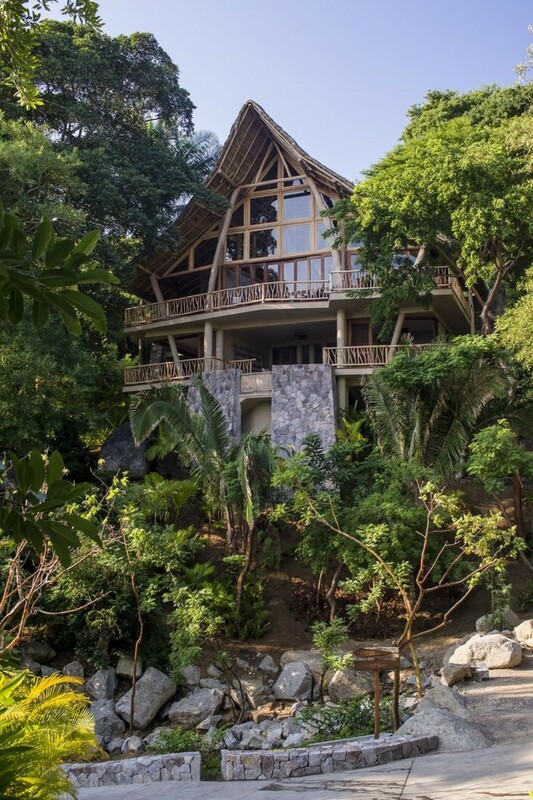 An expansive 4,000 sq. 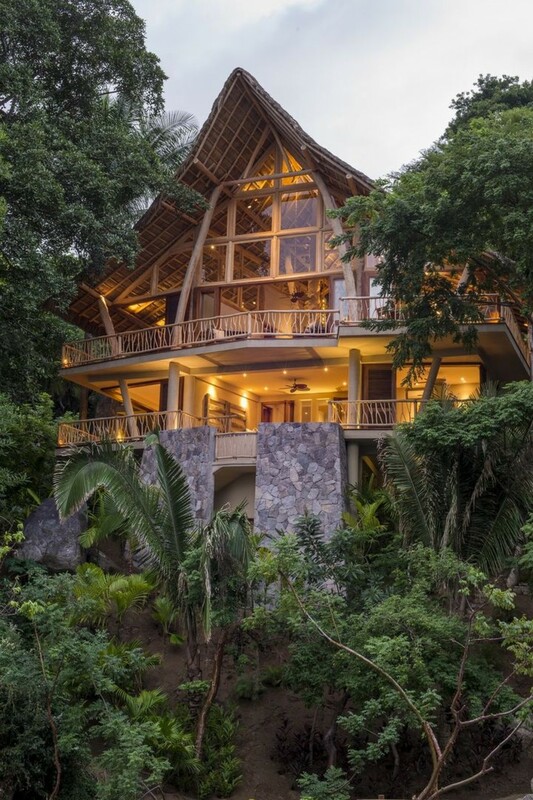 ft. in size, this villa brings treetop living to a new level; surrounded by tropical jungle on all sides, and using eco-friendly architecture and materials in its construction, the design of the villa aims to minimize the impact on the surrounding vegetation. 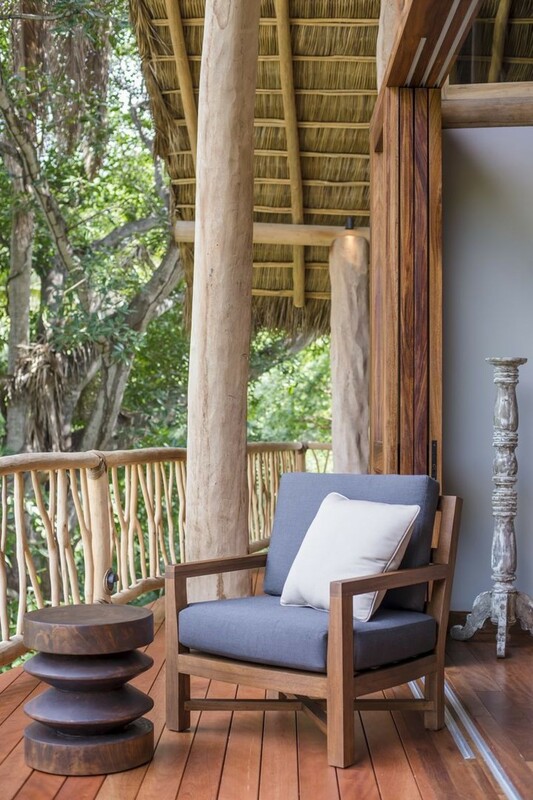 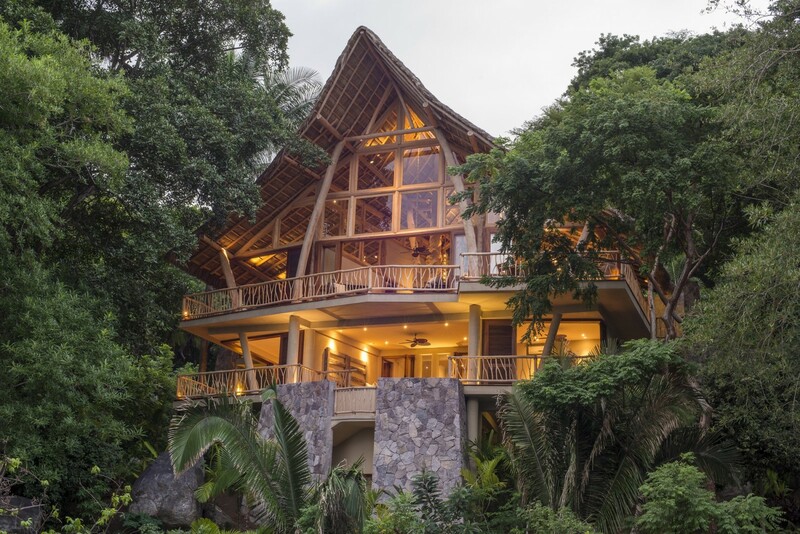 The use of local materials throughout the villa, combined with the treetop aesthetic, gives the impression that the villa accommodates the jungle around it. 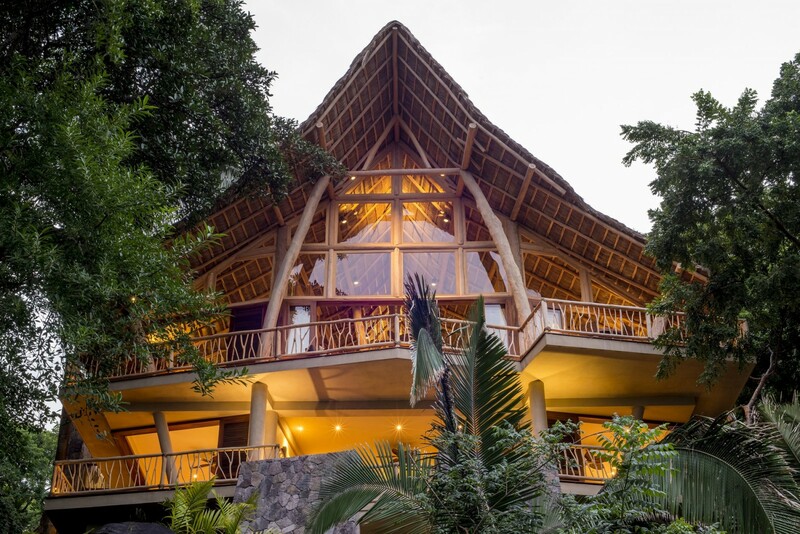 Hewn tree logs are used in the supporting pillars and beams of the roof, the balcony rails following the organic forms of tree branches. 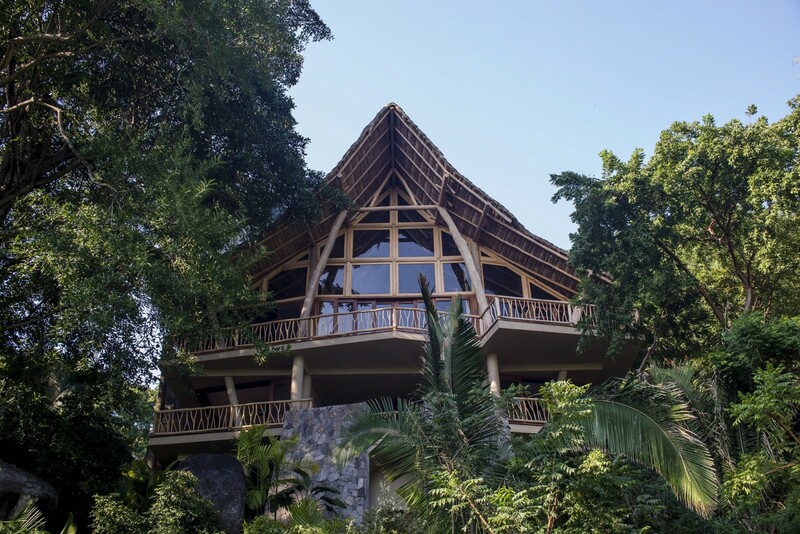 The rugged stonework that can be seen in various areas of the property contribute to the natural aesthetic that the villa maintains. 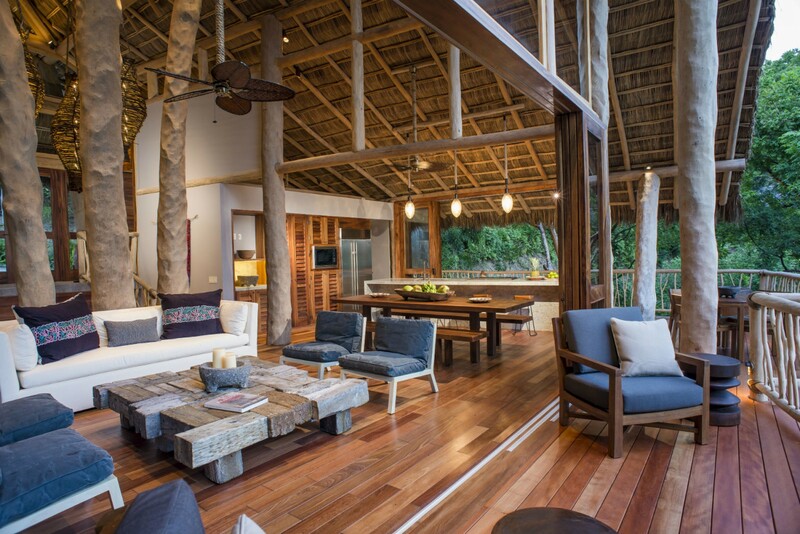 Lofty ceilings contribute to the cavernous size of the villa’s great room, where an open plan kitchen, lounge and dining area reside; the open plan also extends to the terrace’s outer lounge areas, separated only by the sliding glass terrace doors, designed to allow as much of the outside in as possible, without compromising on privacy. 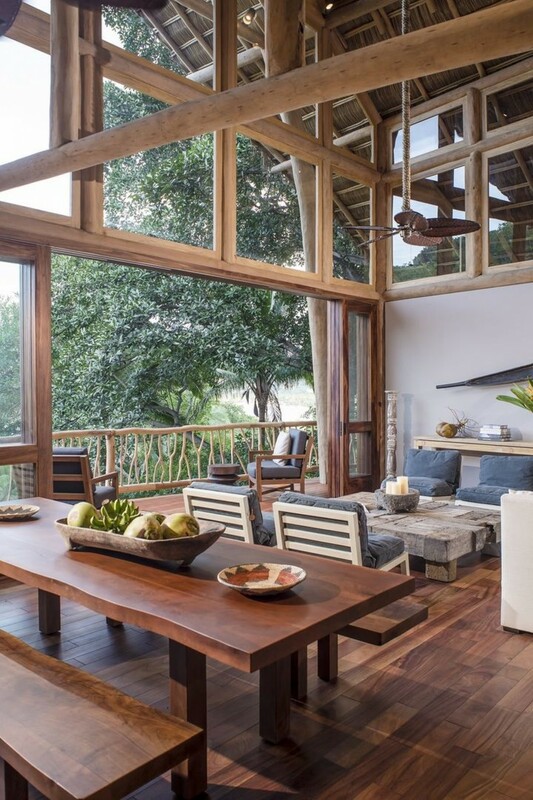 The plush chairs and couch are colourful and casual, and they surround a rustic and formidable coffee table which enjoys a panoramic view of the surrounding landscape. 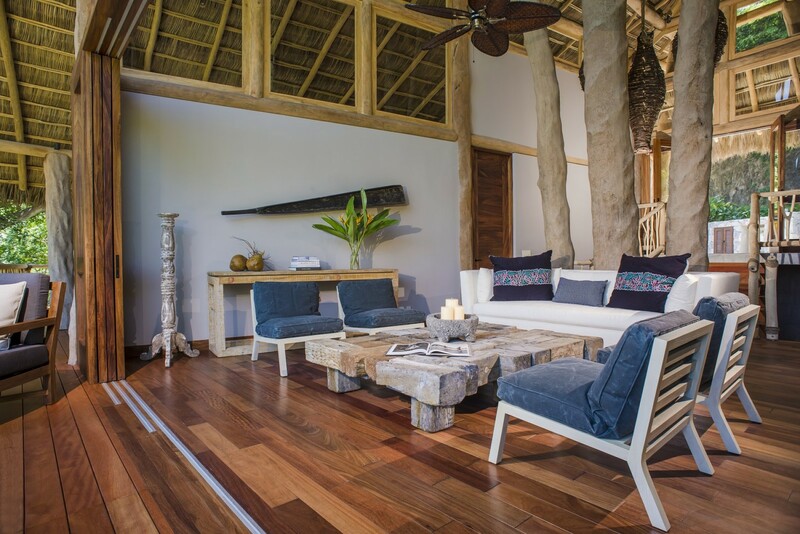 With the Pacific glittering in the sun on the horizon, the lounge is an ideal spot for both early risers awaiting the morning sunshine with a coffee, or as a place to unwind and relax as the sun goes down. 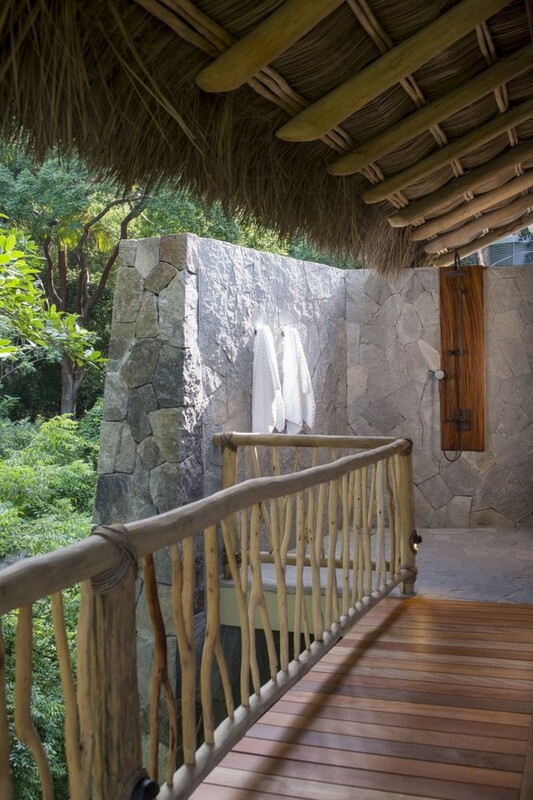 Downstairs, beneath the great room, several areas to lounge and relax are at the disposal of the guests, including a beautiful stone hot tub that has the power to soothe and alleviate aching muscles and tired bodies, offering the opportunity for guests to marvel at the gorgeous flora that surrounds them. 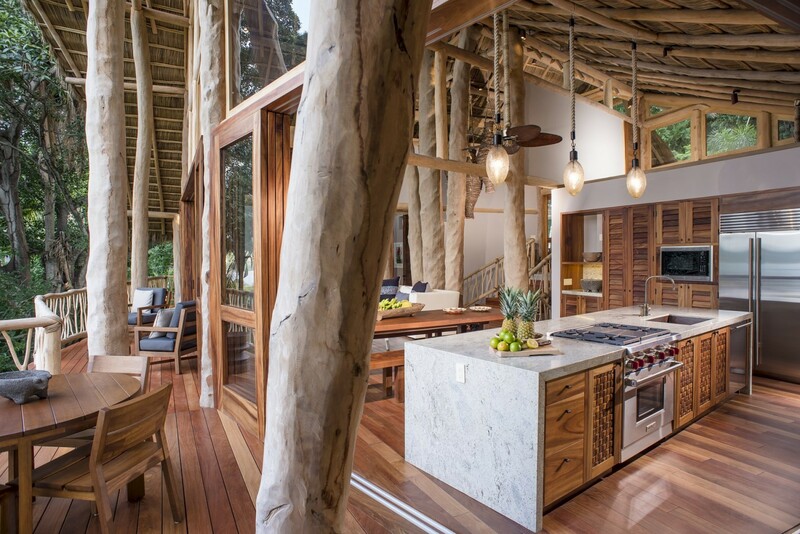 A spectacular wooden slab dining table sits between the lounge area and the kitchen, benches taking the place of individual chairs, providing ample seating for all while sharing in the treehouse vibe and bringing an element of fun to mealtimes. 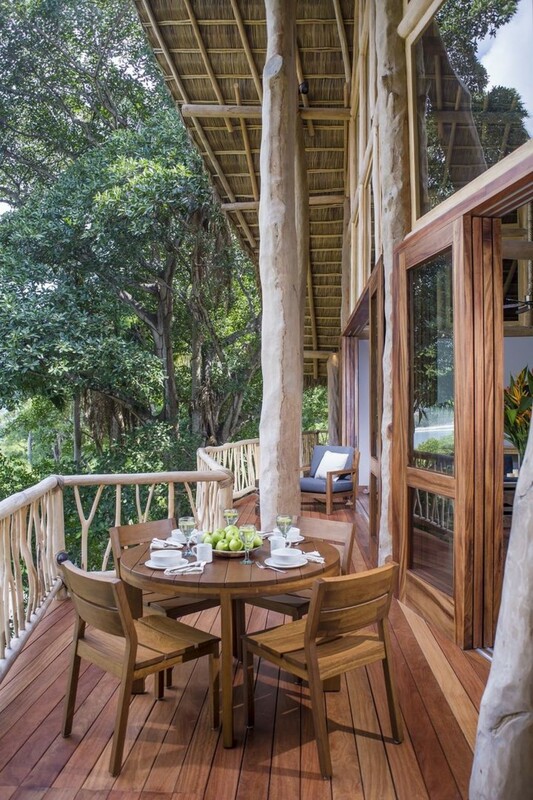 A round table with seating for four is placed out on the balcony, perfect for enjoying dinner al fresco to the ambience of the jungle. 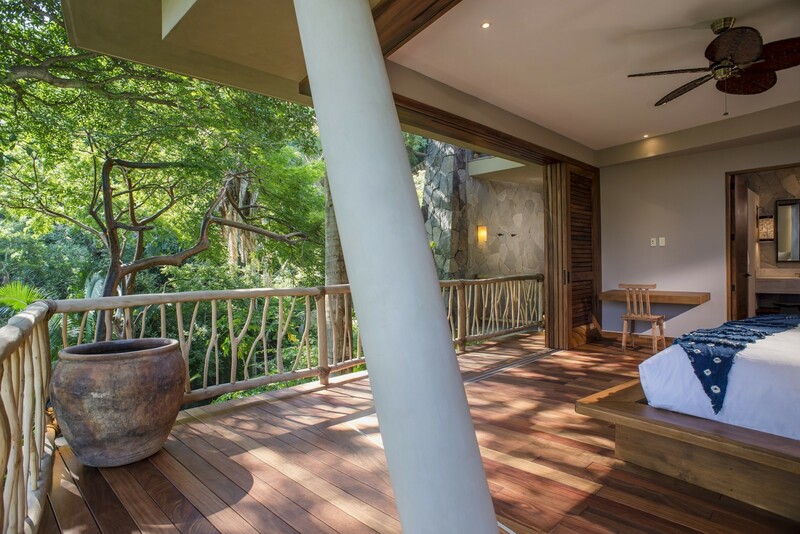 A fully equipped kitchen filled with state-of-the-art appliances and utensils is ready to be put to the test in preparing sumptuous meals. 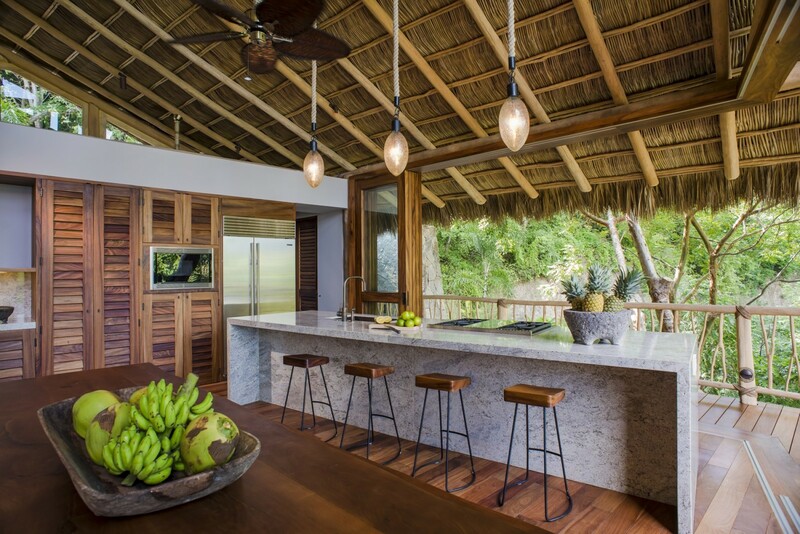 A marble island countertop also doubles as a breakfast bar with seating for four, giving guests a variety of seating options for their comfort at meal times. 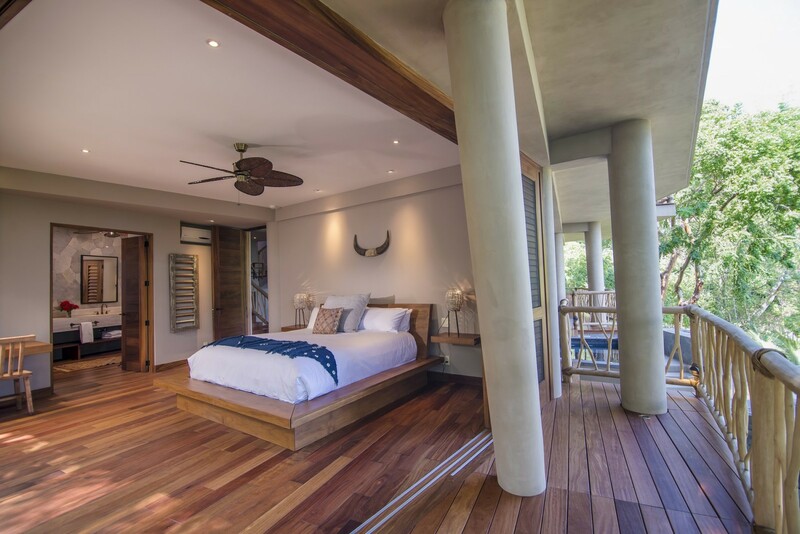 The bedrooms and their design follow suit with the rest of the villa; featuring Mexican influence in the decor with a heavy nuance to wooden furnishings, the rooms have access to a wrap-around terrace, equipped with outdoor showers; taking a cool shower outside in the warm Mexican climate has never been so appealing. 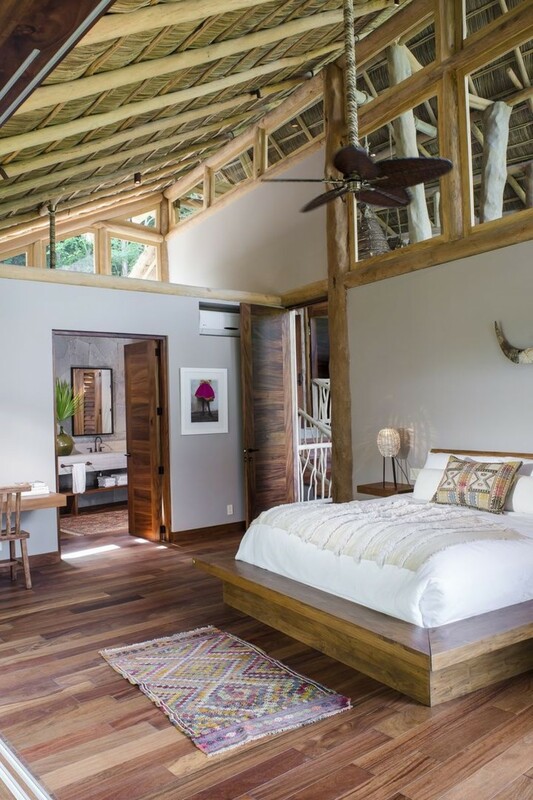 Two of the bedrooms are equipped with luxurious king size beds, the remaining room contains two sets of bunk beds. 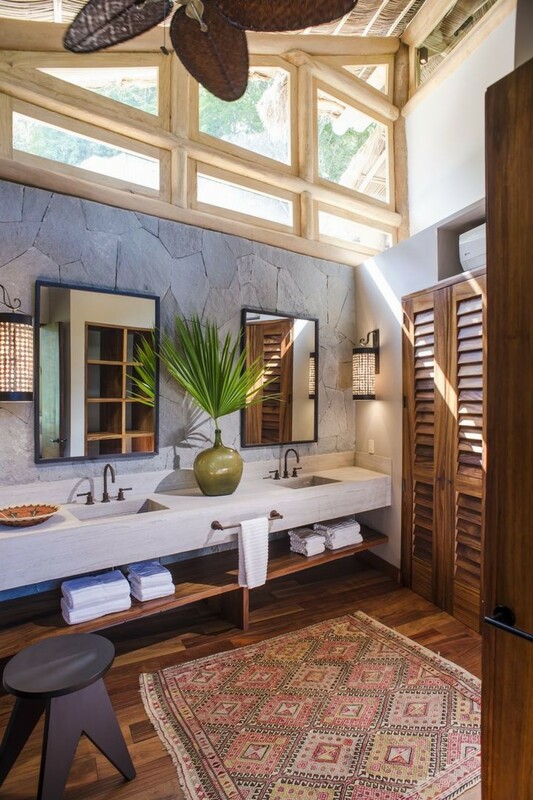 All rooms have their own private and spacious en-suite bathrooms with showers. 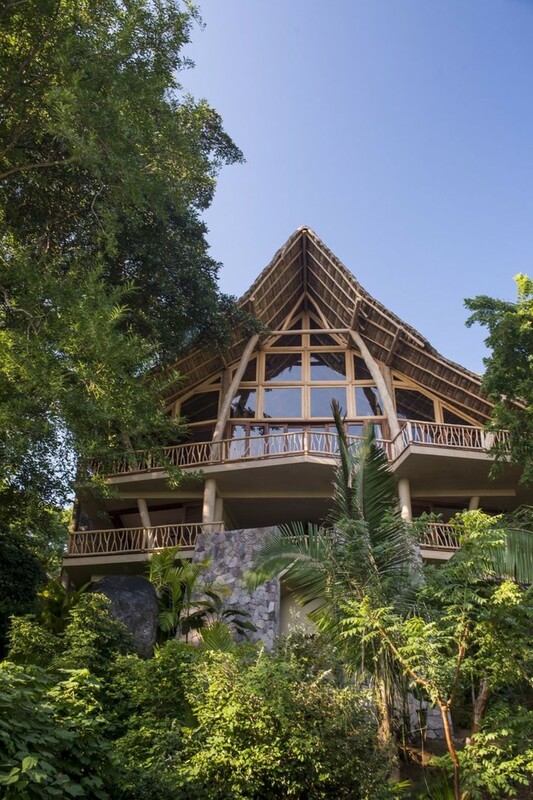 Residing on the west coast of Mexico in the Nayarit region, Punta Saluyita is surrounded by lush green tropical forestry, overlooking the Pacific Ocean from its perch within the trees. 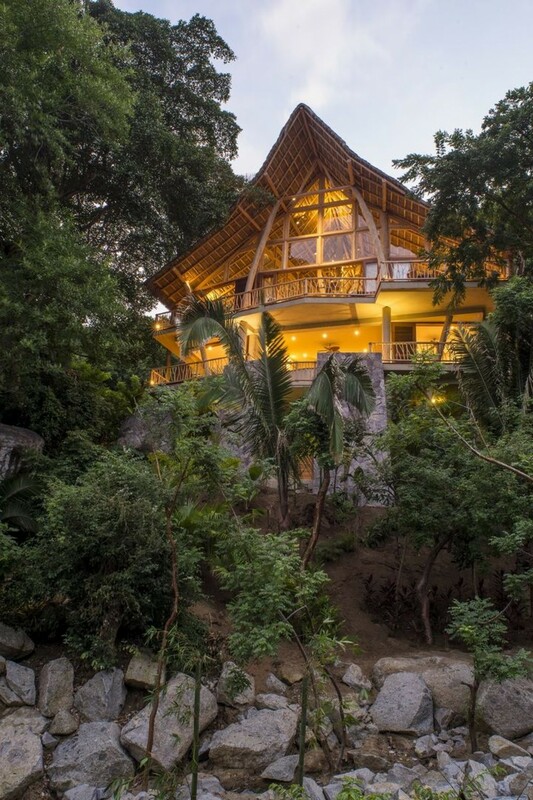 Located on a protected private peninsula, surrounded by pristine waters and wildlife, the villa is just 10 minutes away from the village of Sayulita, a thriving waterfront town that is alive with the traditions of Mexican culture. 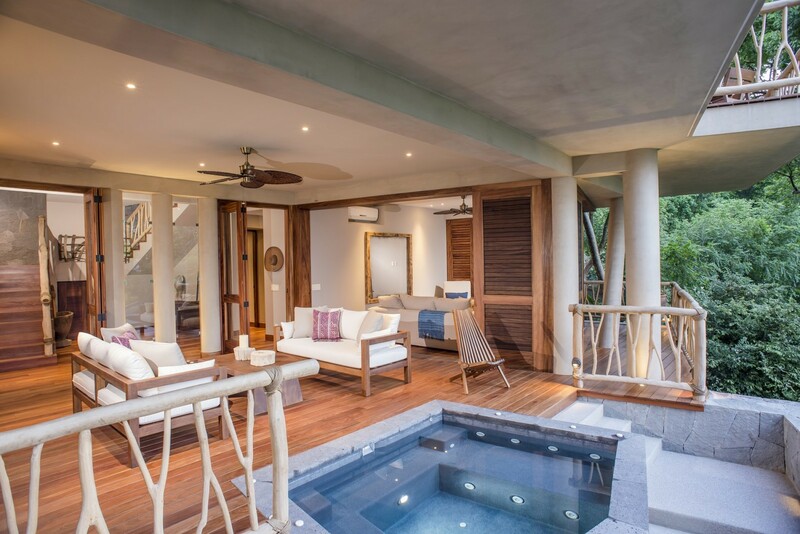 A short walk from the villa will bring you to the exclusive Punta Sayulita Beach Club, and access to the facilities within, including swimming pools, fully equipped gym, spa services, sauna, restaurant and the private beach afforded only to guests of Punta Sayulita. 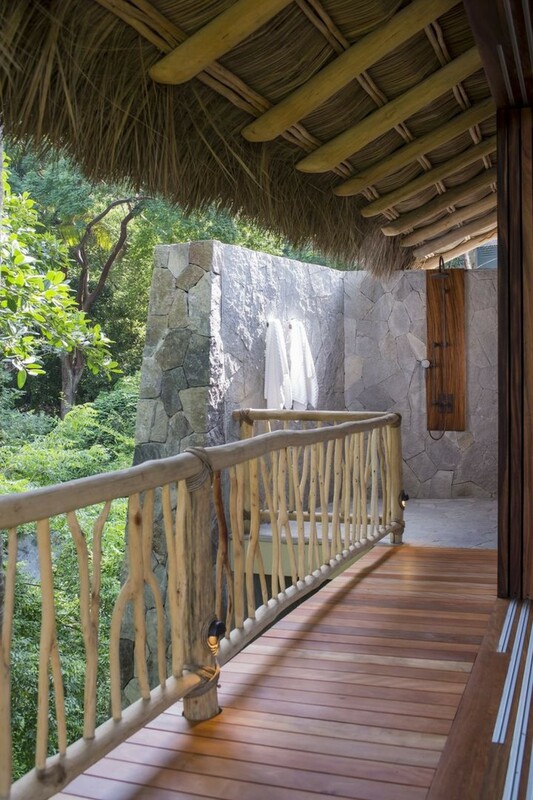 A network of hiking trails and mountain biking tracks are also close by, for the more adventurous guests.